Fall Into First: Goodbye Friend! Why does it seem that only our favorite students move during the school-year? I lost one of my favorites this last week and I was so sad to see him go. His family is moving to Texas and I have known since the beginning of the year but it is still sad because he was SO GOOD. 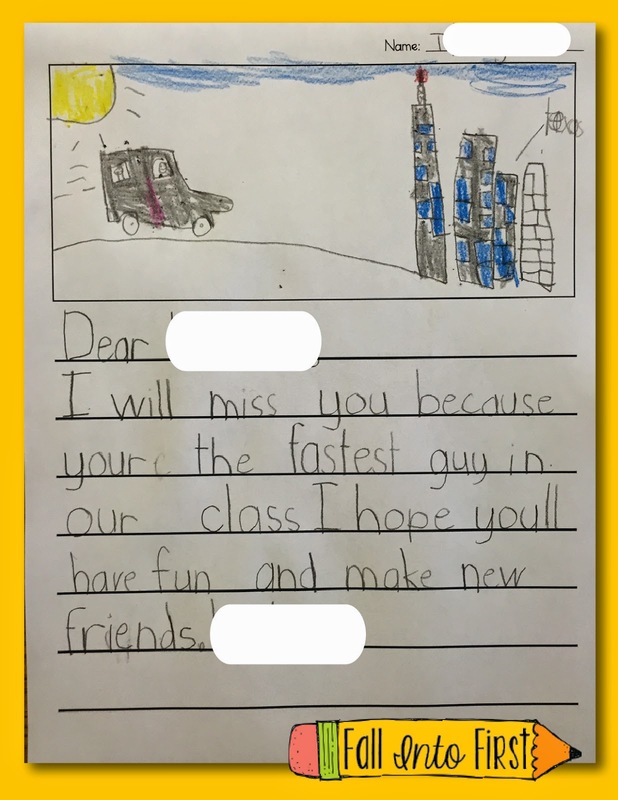 When students move from our class mid-year we make a little "Goodbye Friend!" 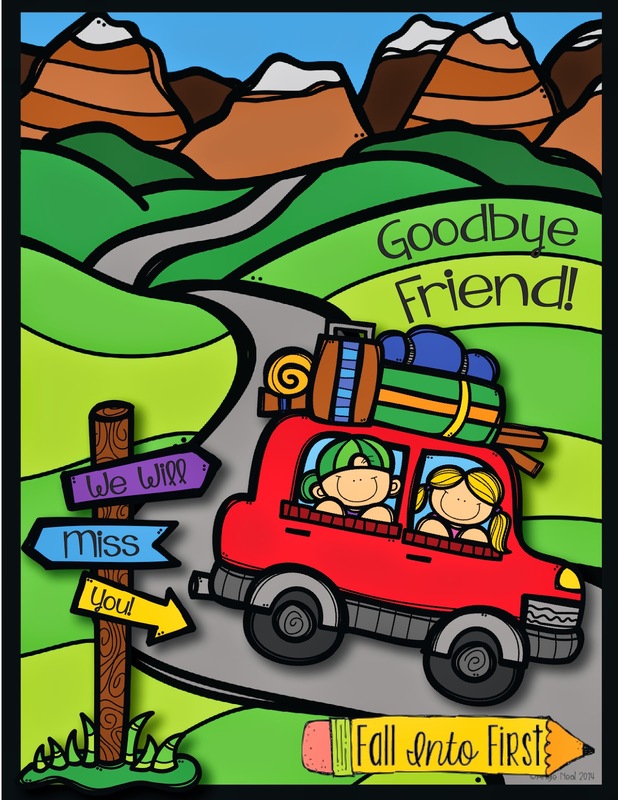 book to make sure we all say a heartfelt goodbye and let our friend know they will be missed. I hope that this eases the transition for the student because we try and be encouraging about their move and new school. 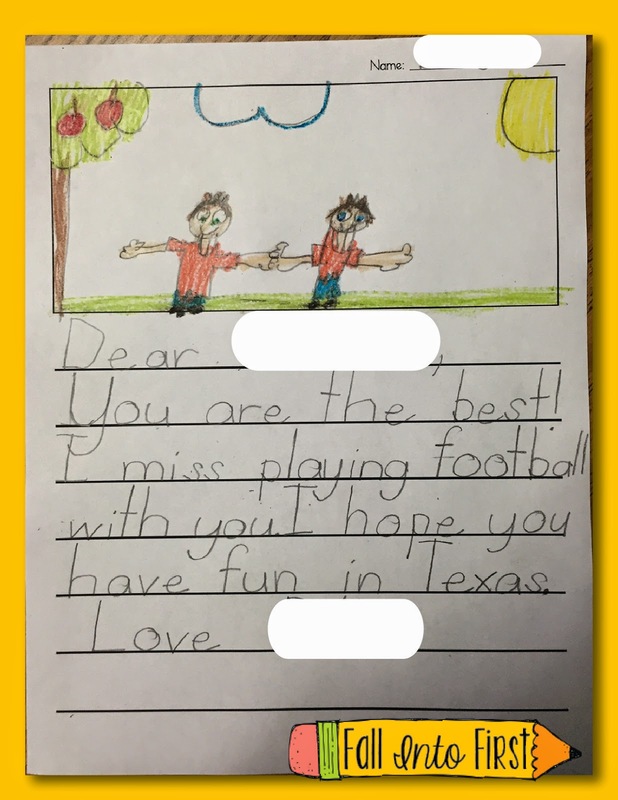 Each students writes a letter and illustrates a picture. We bind all the pages together and it becomes a cute little book. While the rest of the class is busy writing our letters, I ask the student who is moving to color the cover of their book (I provide them with a black and white version of the above picture). I would love to choose three people to win this newly posted product. Simply comment below with your email address and you may win!I will choose three winners on December 7th OR you can grab this fun "Goobye Friend" pack in my store. 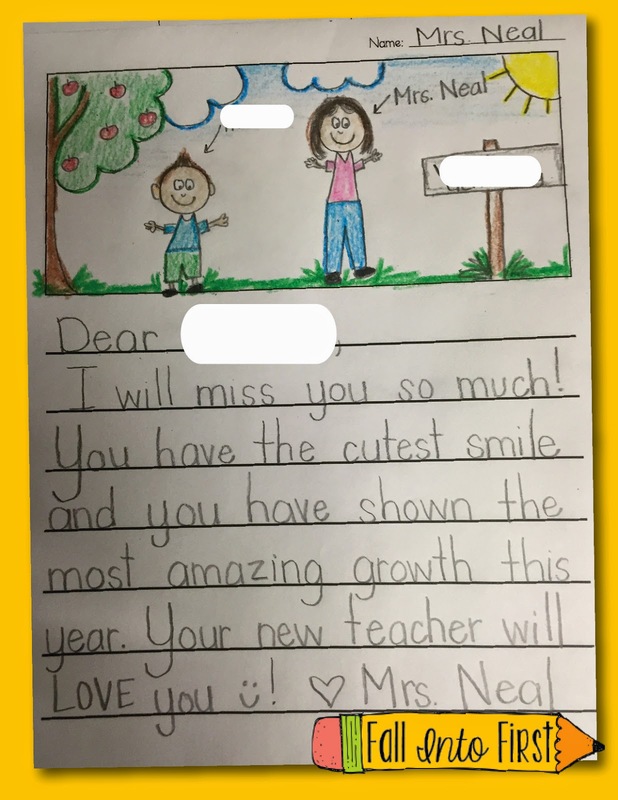 We do a goodbye book but yours is way much more adorable! 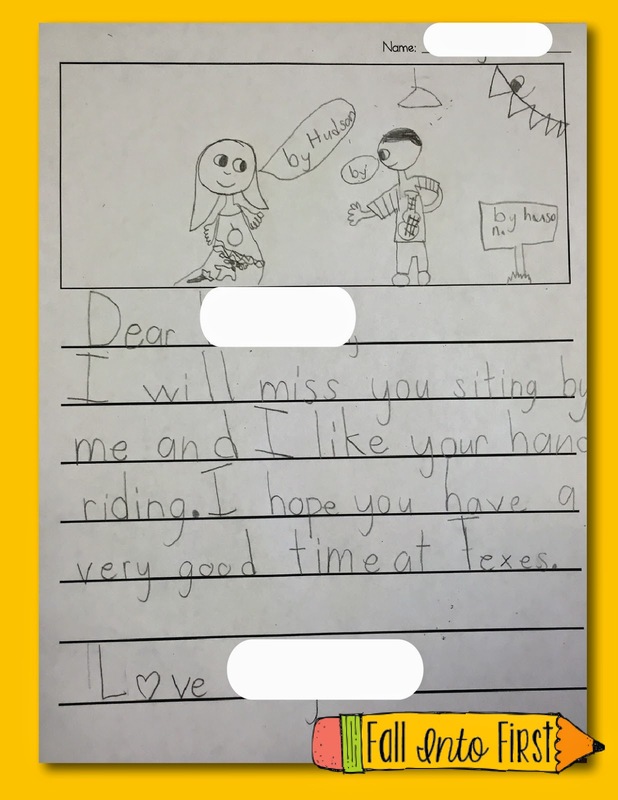 What a lovely way to say goodbye to a student. :) It would be great to have something ready to go -- sometimes it happens so quickly that it's hard to get something together in time, but it is SO important. So cute! I loved this sweet guys little brother and sure miss him too!